There are some regular problems occurring with children as well as with men and women; they are suffering from the sleeping problems due to heavy noises from the outside at early morning and too much light from sunrays. Some of the houses are built in the areas surrounded by streetlights, car headlights and near to market, which makes it even difficult to sleep. Blackout blinds or curtains are mainly designed to prevent high light coming in your house, so you can get a peaceful sleep. The blackout blinds are manufactured with blackout + technique that is applied to the lining, which enables the blind fabric to block all the heat from outside as the lining holds all the light coming from the outside. Its thick lining holds all the stitching and the internal structure without any stitching on the fabric, thus leaving no chance for pin-prick holes. Blackout Blinds has the capability to control the temperature of the room with the Thermal insulation. It basically keeps the room warm at low temperature. Blackout curtains are created with special lining and coating to keeps room cool in summer days as these layers and coating help stopping the hot rays from the sun to enter your room. 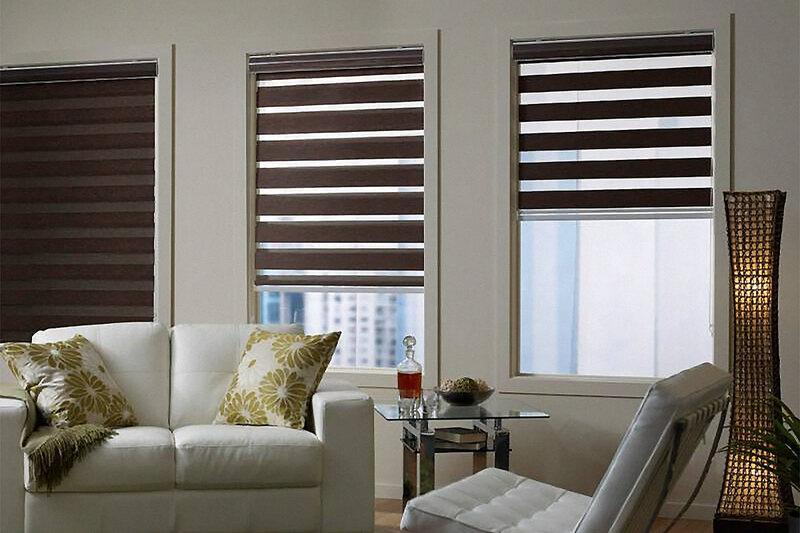 Blackout blinds come in multiple colors and sizes, so you don’t have to settle for one style and one color. The most popular styles are Roman; however, there are other styles as well as vertical and Venetian. If you would like to add perfect finishing touch to your room, you can use blackout blinds in conjunction with curtains for adding some more dressing options. Blackout blinds always save you from the noise that is coming from outside of the window or from the street. Sometimes you get irritated if you listen to some little noise from the street, which ends up disturbing your sleep. Because of the extra thick lining, these blinds have the ability to diminish noise and give you the peaceful space from drifting off to sleep. For little babies and children, these blackout curtains are available with good backing. It will make the exemplary for children to get the sleep they need. These blinds reduce the effect of light and give the best environment to the children. Reducing energy costs is what everyone looks for when using equipment that fetches the higher amount of energy. Blackout blinds also helps to save the energy such as thermal energy. It reduces the utility bills as you don’t need to extra warm your room in winters or extra cool your room in summers because it traps the heat in at the time of winters and keeps that heat to coming in during summers. So, essentially, it saves the energy. This ensures you won’t waste extra money on warming or cooling the room while being environmentally friendly. Not only you can reduce the bill but also reduce your carbon footprint. Closing the blackout blinds and sitting in the dim lights help in preparing our brain and bodies to go to sleep. Various researchers show that cutting out all the light sources when sleeping can help an interruption-less sleep. Simply put, you can make changes to your internal rhythm by making a proper schedule of sleeping. Besides, you know that completely shutting down the light sources and allowing only dim lights can add amazing elegance to the room, and who would not want such quality time either for themselves or with their loved ones. In fact, blackout blinds in a child’s room can make a big difference to his/her sleeping schedule. Blackout Blinds helps in maintaining the privacy of any couples, any office conversation or in terms of bedrooms and washrooms. It gives you complete privacy from outsiders. You don’t need to worry about if anyone is seeing you from outside of the door. It gives you prevention whether you are in the office or at home. The blackout blind has many advantages as discussed above. In addition, when your neighbors are mowing their lawn or there is a party with high music outside your house, and your kids are trying to sleep, the noise can be blocked using blackout blind to enjoy a peaceful sleep.